The motto, “you get what you pay for,” truly applies when talking about restaurant equipment. As a purchaser, you may be tempted to take the cheapest option available, without giving much thought to equipment specifications, or how equipment fuel efficiency affects a daily budget. 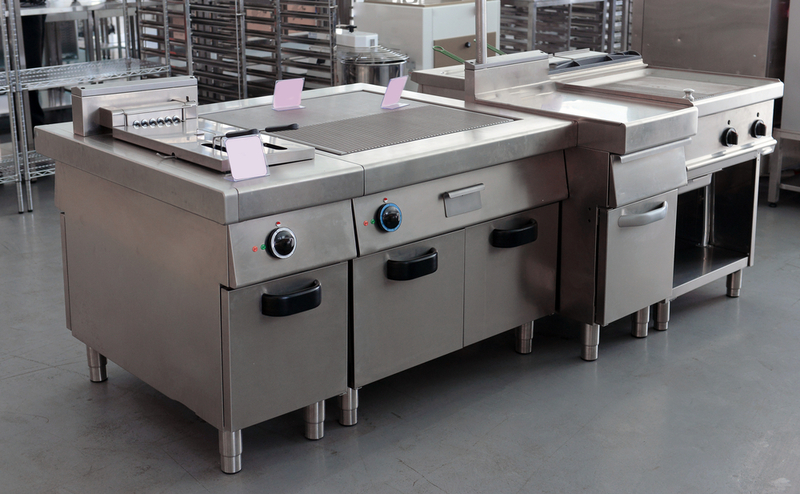 Continuing from our previous post on buying new restaurant equipment, here are 5 new tips to keep in mind while making a purchasing decision. 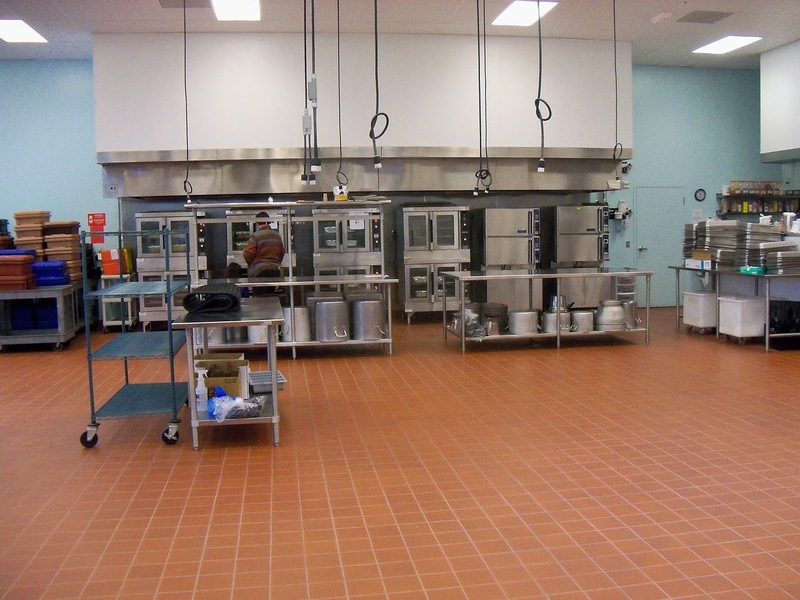 Are you expanding your commercial equipment arsenal, or replacing an older unit? What if your next piece of equipment lasted longer, and required less upkeep than what you had before? Both questions lead to an important point—choose quality equipment when cost allows for it. Do some preliminary research on equipment manufacturers, and if materials, technology, and reputation factor in to a good purchase. In some cases, purchasing equipment with extra features or systems cuts out the need for an entirely separate unit! When reading up on equipment features online or at the store, don’t forget to run through the utility specifications. These include all hookups for water, gas, and electric. It may help to jot down some notes of what you have available in your kitchen setup before you begin your search for new equipment. There is nothing worse than buying electric powered equipment, only to remember your setup runs on gas! Another great step to take before making any purchases is to measure your kitchen. Remember, if your newly purchased fryer doesn’t fit through your kitchen door, it won’t be of much use! Take the time to compare product dimensions with your own kitchen setup, and create a mock diagram of where new equipment will go. Certain manufacturers may offer “green” functionality as a selling point. Equipment efficiency is another important factor to keep in mind when considering two similar options. 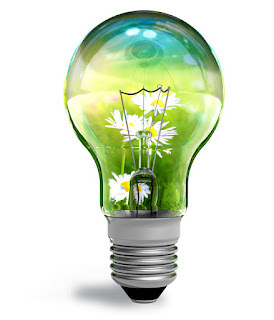 Remember that “green” is just a word, and on few occasions may even signify less efficient specifications than equipment not advertised as green. At the end of the day, it is up to you to carefully consider your options and select equipment based on the facts, and not hype. Fuel-efficient equipment has the potential to save a restaurant over $10,000 a year compared to less optimized options. While it may be exciting to make such a big purchase, don’t jump the gun and sign without inspecting the equipment in question first. After delivery, the first thing you should so is check for any nicks, dents, or indication of mishandling. Should anything be damaged, do not sign for the package. If you do, it will become more difficult to claim the damage was due to faulty delivery practices. 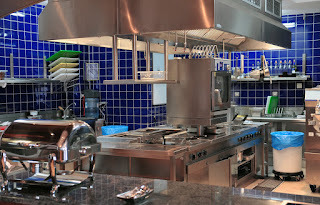 A properly maintained commercial range acts as the bread and butter for many restaurant kitchens. Stay familiar with safety precautions provided by your equipment manufacture, and keep employees safe while preventing costly accidents. 1. 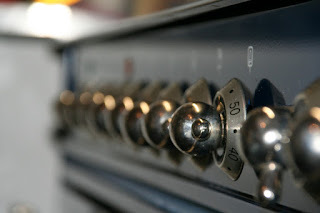 Clean Ventilation- Functioning ventilation is a key factor in reducing excessive heat during and after cooking, especially since most cooking equipment will be kept under the kitchen hood. At the end of each day, remember to clean out the kitchen hood by sending it through your commercial-grade dishwasher—otherwise you run the risk of clogged ventilation and toxic fumes escaping into the kitchen area. 2. Keep Heat at Safe Levels- Always be aware of hot surfaces when cooking to avoid burns or other injuries. While it may be tempting to ramp up the burner flames when heating up that pot of water, remember that peripheral fire crawling over the sides of the pot can be a potential fire hazard. 3. Use Oven Mitts and Other Protective Equipment- Always follow safety precautions and makes sure you are using the correct tools and equipment. When handling hot containers, remember to use an oven mitt instead of a towel, or you run the risk of heat transferring directly to your skin if the towel is wet. 4. Reduce Kitchen Traffic- The kitchen is a busy and quick-moving place. 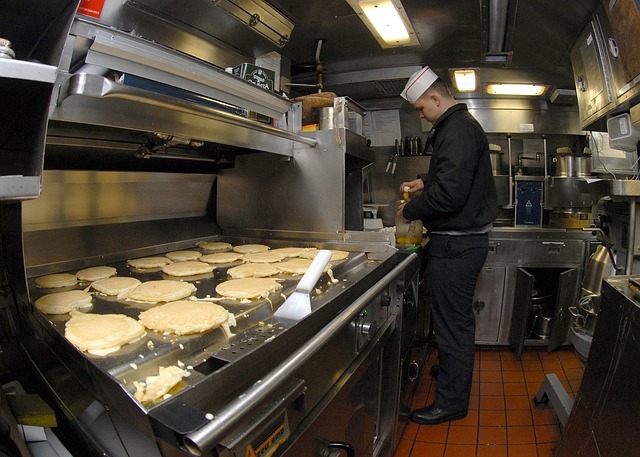 Don’t get caught up in the rush and forget safety procedure—remember to only keep required kitchen staff and workers in the commercial range area to minimize spills, slipping, and other accidents. 5. Follow Maintenance Instructions- Protect your investment in commercial-grade equipment and follow your manufacturers’ maintenance guidelines. Clean and replace old or damaged equipment as needed, and remember to check over working equipment on a regular basis. Not only will you prevent commercial range equipment failure before it happens, but you won’t be caught off guard and lose a day of work because the oven stopped heating. 6. Find a Safe Spot for Storage- Your commercial range has many uses, but storage is not one of them. Keep miscellaneous cooking items and supplies away from the main cooking area, as this creates a fire hazard. Instead find a container or section of the kitchen that still provides easy access, but is also safe. 7. Take lunch breaks outside the kitchen- Its goes without saying that staff meals should be eaten outside the proximity of the kitchen. Not only will this reduce potential messiness, but it will also prevent accidences occurring from cold liquids from a drink dripping onto a hot surface, and potentially splashing hot oil around. 8. Prevent Flammability Disasters- Leaving flammable liquids and supplies near your range is a gamble you don’t want to make. Create a separate area far away from a heat source to not only stay safe, but to follow health code rules.